A View over the sands at Pobbles Beach . A popular beach with the Three Cliffs Headland as a backdrop . At high water the bay is a tiny cove . 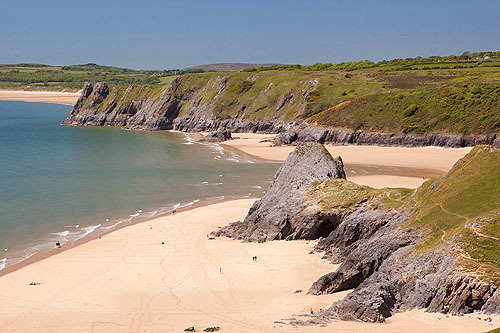 At low spring tides you can walk round the headlands , on the sandy beaches, all the way to Oxwich .